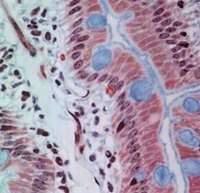 SPECIALIZED CELLS IN CONNECTIVE TISSUE | Microanatomy Web Atlas | Gwen V. Childs, Ph.D.
Mast cells on a smear of connective tissue stained to help you identify the mast cells. They are seen by their granules, containing histamine which is released after an allergic reaction. How is histamine triggered and what does it do? 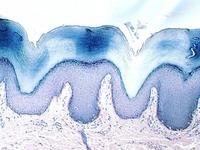 These photographs show a connective tissue preparation designed to visualize the macrophages. 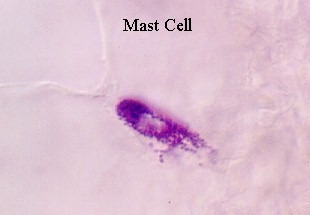 These cells have been exposed to trypan blue, while living and the macrophages have brought in the dye by phagocytosis, allowing them to be identified. 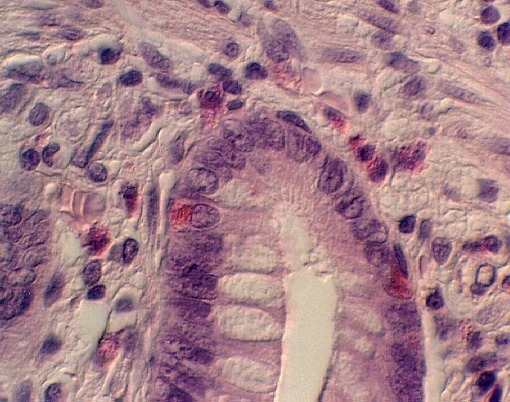 Nuclei are stained light pink, in this preparation. 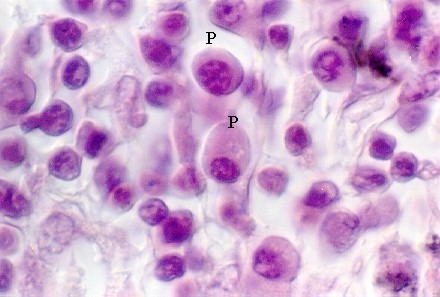 The following photographs show two important cells in loose connective tissue. 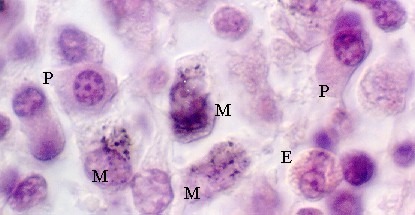 The inner regions of the lymph node called the medulla, is filled with connective tissue that contains numerous macrophages (M), eosinophils (E) and plasma cells (P). 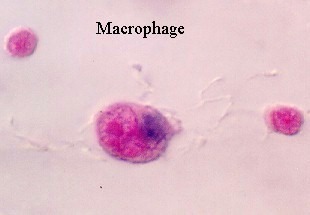 The macrophages can be identified by their content of large granules. 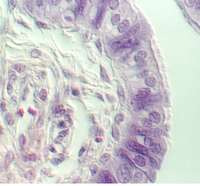 The eosinophils have pale or bright red granules and a lobed nucleus. Plasma cells can be identified by their ovoid shape, nucleus that is off-center, and nuclear chromatin pattern which looks like a "cartwheel". Sometimes there is a pale area like a half moon near the nucleus. This is the Golgi complex. What is the function of a plasma cell?